Still plagued by his nightmares of Rin’s death, Kakashi becomes curious on Kinoe’s ability to use the Wood Style and infiltrates the archives office where he reads of Hashirama Senju before finding a top secret note. 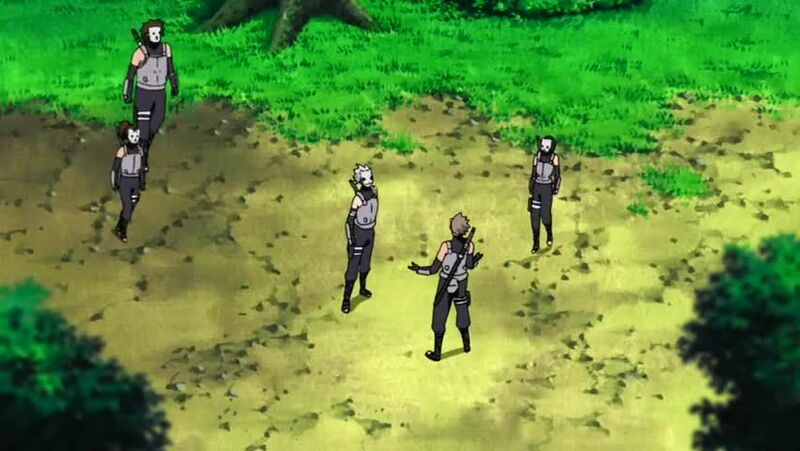 However, knowing of Kakashi presence, Hiruzen arrives and reveals Kinoe to be the survivor of a failed experiment where Leaf ninjas were injected with Hashirama’s cells to harness the First Hokage’s Wood Style. The next day, while on route to meet with the Lord of the Land of Fire to make his return as Third Hokage legit, Hiruzen is ambushed by Root operatives led by Kinoe on orders from Danzo to quietly assassinate the Third Hokage. However, “Hiruzen” is revealed to be Kakashi in disguise as a decoy to keep Kinoe at bay while the real Third Hokage confronts Danzo. Soon after, as Hiruzen is once more appointed as Third Hokage, Danzo converses with Orochimaru that they should no longer meet for the time being as Kakashi seemingly betrayed him.